GREAT FESTIVITIES, GREATER OPPORTUNITIES: THE MINI FESTIVAL 2016. This festive season, MINI presents a grand opportunity to join the legendary family – by driving home a MINI 3-Door or MINI 5-Door at half the price. Yes, you read that right. This incredible opportunity revolves around paying 50% of the ex-showroom value upfront and paying the rest after 3 years, or re-financing it for a tenure that suits your fancy. Experience the MINI 3-Door and get acquainted with its Twin Power Turbo engine that’s faster and more fuel-efficient than ever. Tighter hugging of corners and zippier straight stretches guaranteed. Or choose the MINI 5-Door and go for blistering speeds and extra space to carry along more people for the joyride. 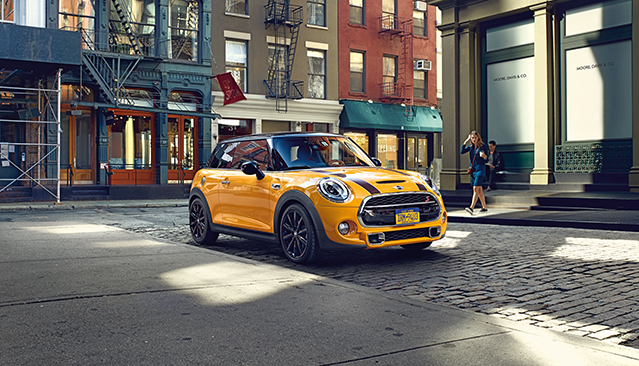 Whatever gets you going, MINI has it covered. That’s why you can be sure that the festivities are going up several notches this year.